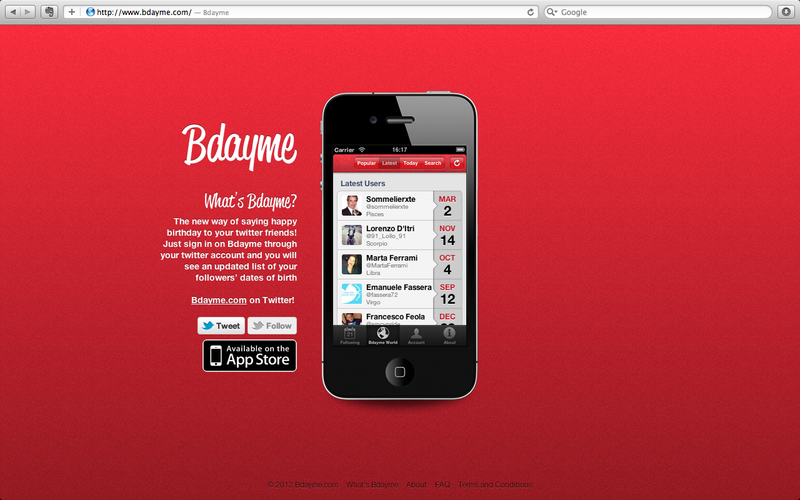 I'm one of the few people that prefer to use Twitter for personal social network than Facebook. It gives you an anonymous way to follow people that could be really useful if you want, for example, just get information from a journalist or magazine. 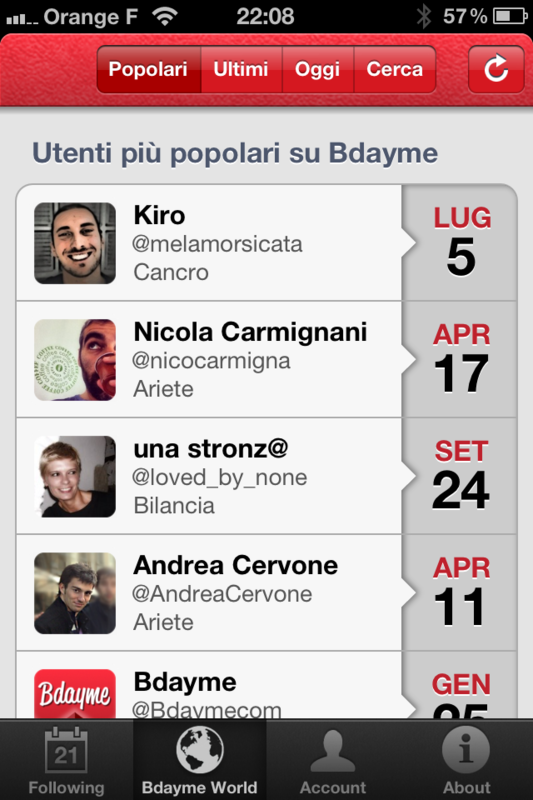 But, starting today, if you want to add a social touch to your twitter account, you can use this new service, offered (app is completely free) by a group of italian guys: BDayMe. The app is really simple: you can install it from the AppStore (for the moment App is available just for iOS devices, but other devices will be compatible in the future), connect using your twitter account, and... you are in. 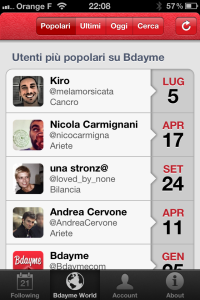 Then you can set an automatic message that bdayme server will tweet for you the day of your birthday; see the birthday of your contacts and send them wishes. As I said you add a social touch to your twitter account. But, if you want to know when is your preferred V.I.P. 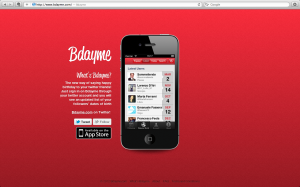 birthday and be the first to greet him/her birthday... you must install bdayme on your device. The app is completely free, so... you can make a little test. SlideToMac via Matrox annuncia DS-1, la docking station Thunderbolt per MacBook. Interesting even if it's a little bit expensive at the moment!